Madrid’s association for Coeliacs and gluten sensitive people boasts a list brimming with more than 50 fantastic restaurants. Each of these establishments has been individually tested and certified as gluten free and safe for coeliacs, giving you plenty to choose from. Here are just 5 incredible gluten free restaurants in Madrid we recommend for delicious eats. 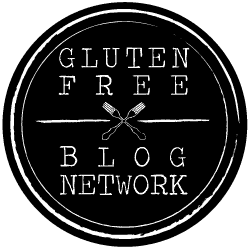 A fun play on the words “celiac” (coeliac) and “delicioso” (delicious), this bakery is famous throughout the city for its wonderful baked goods made without even the slightest hint of gluten. From indulgent peanut butter cupcakes and creamy cheesecakes to wonderfully chewy cookies and savoury sandwich breads, Celicioso has everything you need to satisfy any type of craving. The best part is this bakery is 100% gluten free, so you can order anything you like! Drinking beer with friends is a huge part of Spanish culture, but it’s not easy for people with a gluten-intolerance to join in. Until now! El Nerú is a cider house in the centre of the city which offers a fantastic choice of locally-brewed gluten-free ciders, plus a couple of gluten-free beers. They’ve also got an incredible tapas menu with a handful of gluten-free options, such as Asturian pork and beans, as well as hake fish served in a cider-prawn sauce. Another fantastic option for tapas when you’re gluten free in Madrid, La Concha is a small tavern nestled in amongst the many bars in the La Latino area that offers a full gluten-free menu. The dishes closely mimic those on the standard tapas menu, with delicious options such as smoked cod, homemade meatballs in tomato sauce and mini squids cooked in their own ink. The gluten-free items are even the same price as the standard items – something you rarely see! Most locals agree that you get the best gluten-free paella from El Arrozal. And we’re not going to argue! This restaurant specialises in rice dishes and has a separate gluten-free kitchen where they make all their coeliac-friendly dishes, from paella and grilled meat to salads and desserts. There’s a huge variety of paellas to choose from (16 the last time we counted!) most of which are available in single-serving portions, making them perfect if your dining partner fancies something else. Lambuzo is a small, family-run restaurant that serves up a delectable selection of Andalusian specialities. Although they don’t advertise a gluten free menu, the staff at Lambuzo cater exceptionally well for anyone avoiding gluten. Simply let your waiter know and they’ll return with all kinds of tempting gluten-free options that will be freshly prepared especially for you. Eating gluten free in Madrid definitely doesn’t mean you have to miss out on trying the world-famous Spanish cuisine. You can still indulge in typical Mediterranean dishes like tapas and paella without the risk of consuming any gluten.